We’ve been here before. We’ve talked about the magic that comes alive inside Dodger Stadium. Recently, we’ve felt it. We had a feeling that Corey Seager was about to heat up. In one of the biggest – if not the biggest – game of his career, Seager homered three times against the New York Mets tonight at Chavez Ravine and doubled, driving in six runs against the New York Mets. The thing is, this game was so similar to his three homer game last year, and if you watch him every day like we do it was vintage Seager at his best. He’s just not a pull hitter when he’s going good. His first homer of the night displayed incredible power, driving the ball up the middle and over the centerfield wall off Robert Gsellman. From there, he would line a double into the left center gap, and just like last year with how he finished off his three-homer game against the Braves; Seager hit two more balls out the other way. It’s a backdoor he loves to use when he’s going well. Seager came up a fifth time with the bases loaded, and he *almost* got his fourth home run of the game and a grand slam but it was caught around the track in left center. Just as Cody Bellinger is starting to get whispers that this is already his team; which we don’t like, Seager grabs back the reigns and hits three out. Bellinger also hit his 22nd home run in this game which is nothing short of incredible in his own right; but right now the Dodgers are just living well. 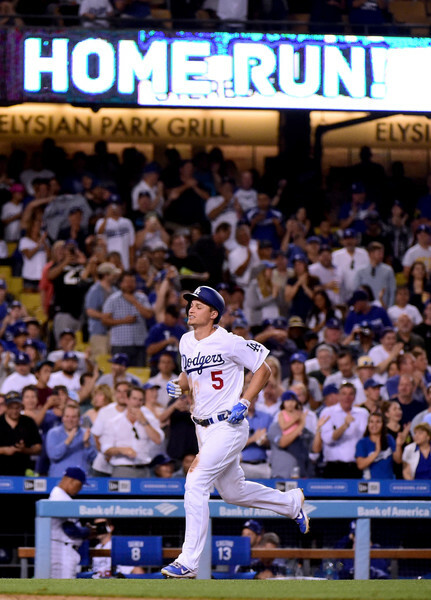 The Dodgers are near a franchise record for home runs in a 10-game stretch. 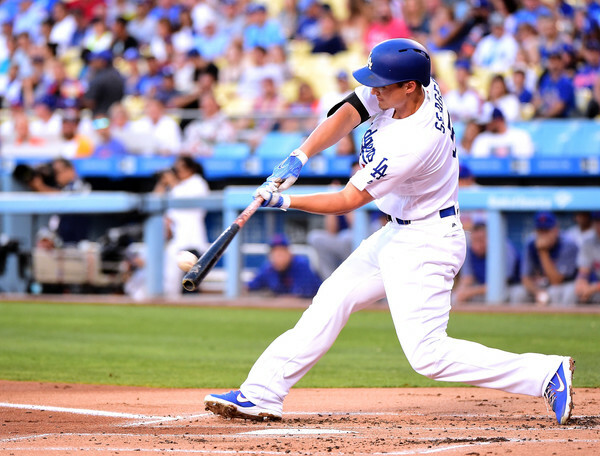 Corey Seager is the fourth Dodger player ever with two three-homer games in his career. He is simply still, our favorite player in all of baseball; even in a year where there are so many great players going bonkers.